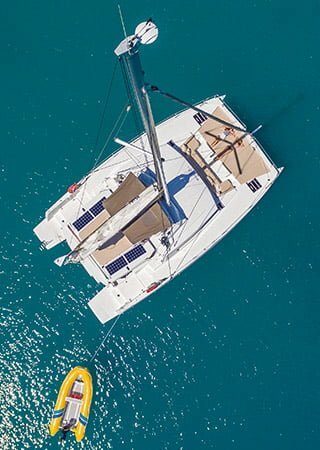 All our vessels are fully equipped with sheets, pillow cases, 2 bath towels per person (towel packs available for additional cost, 10 towels), tea towels, pillows and blankets, fully equipped galley with all crockery, cutlery and coffee plunger, gas deck BBQ, refrigeration, freezers (on most vessels), hot and cold pressure water, stereo/CD player, DVD/TV, snorkel gear, dinghy with outboard motor, cabin fans, charter plotters on most vessels, all navigation equipment, depth instruments and wind/speed on yachts and wet weather jackets. Garbage bags, dishwashing liquid, bathroom soaps (small hotel style), toilet paper, sponge and scourer, matches, pegs, vinegar, salt and pepper. 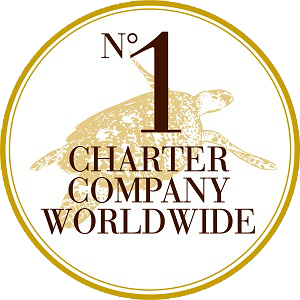 Provisioning, Accommodation, Airport Transfers (from $20 p/p one way), Hamilton Island Start ($450.00), Hamilton Island Finish ($450.00), Sleep aboard night prior to charter, Ferry transfers (from $53.50 p/p one way), Sailguide half day $220.00, Sailguide $350.00 per day + food to be supplied, Stinger suits – through the dive shop at the marina, Stand up paddleboard ($25 p/day each), Sit on top kayak ($15 p/day each), Sit on top junior kayak ($10 p/day each), Sit on top tandem kayak ($25 p/day each). We can also provide a variety of beach and fishing gear. Please ask us about: Chart Plotters (on most vessels), Vessel Freezers (on most vessels).